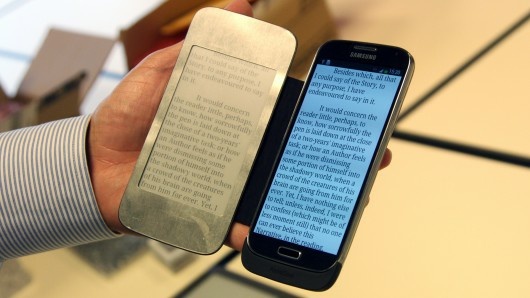 Are E-Ink Covers The Next Big Thing in Smartphones? A few companies have been recently showcasing e-ink smartphone covers which kind of make me scratch my head. I mean, I get it: people are less likely to carry both their e-readers and their smartphones when they go out, so why not bundle them into a handy unit. But the execution seems a bit lacking in the ideas I've seen. 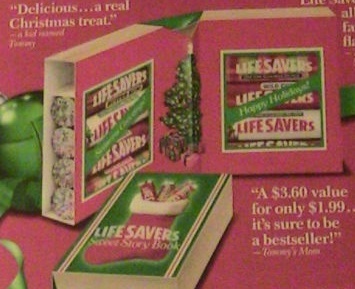 In fact, one cover actually reminds me of the Lifesaver books we used to get in our Xmas stockings as kids. Do you remember those? With 5 rolls of Lifesavers on either side? Right? Ok, you might think I'm seeing things, but consider: the thickness of the phone + the thickness of the case that encloses it + the thickness of the flip cover... we're almost back to Gordon Gekko phones. Ok, maybe not, but the Pocketbook case is definitely no longer sleek and pocket-friendly, no matter what the name says. Now, I do love e-ink. In fact, I think it should be a mode enabled on all computer monitors: reading a doc? Switch to e-ink mode. I've actually set up my monitor to display grey on grey, to mimic e-ink displays and reduce eye strain. Sure, I still have to contend with the flicker rate but at least the contrast is more eye-friendly. So I do want the functionality but I have zero intention of adding bulk to my phone in order to have an e-ink screen. Why can't we have "switch to e-ink mode" on our smartphones and monitors? Why can't someone figure out a way to mimic the experience and then charge us extra for it? If there was one feature I would actually consider paying extra for, it would be that one. You?